It’s a late night tonight. I’ve spent it doing the usual dorm living things such as watching movies, studying here and there, and let’s not forget sleeping. 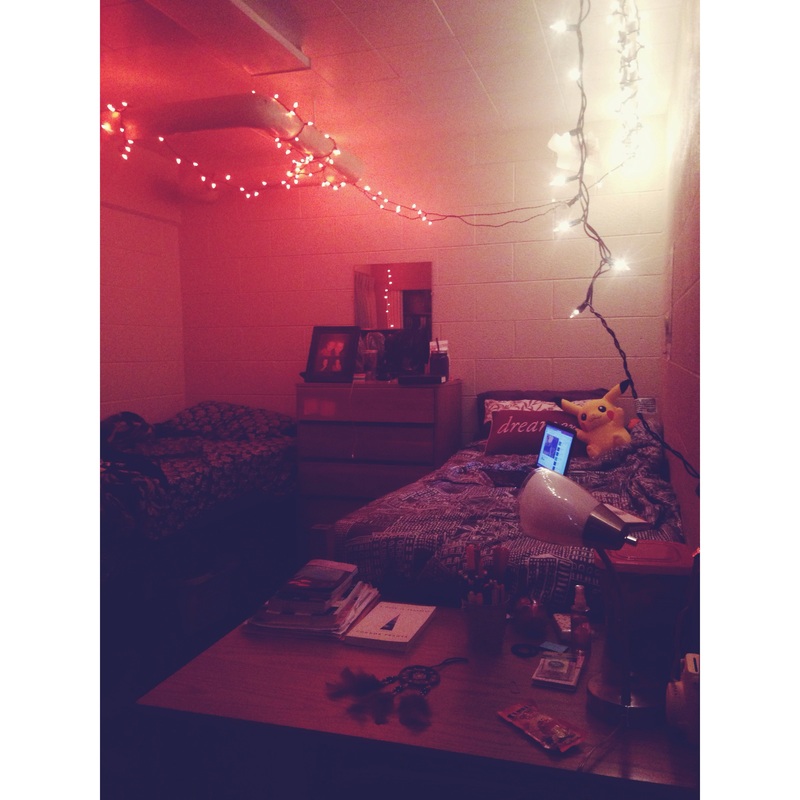 My favorite thing about my room is the lights (actually my roommate’s) which are bright orange (Halloween, yes!!) and yellow. As you can see, I have many little doo dads on my desk, a few posters on my wall, and pikachu (kindly given by my boyfriend) chillin’ by my dreamer pillow. Nothing too rad, but it’s my little space and I love it quite a lot. I think everyone needs a little corner they feel comfortable in where they write, edit, read, jam out to music, do homework, etc. Whatever the sorts, it’s a good thing to have and it’s nice to come back to a comfy cozy space after a long long day. Now I have to know (I mean it’s not a necessity, I won’t die without it, but if you’d like to share go on please), whats your favorite little space?